Charlie created Mountain Run to share his love and experience of running in the mountains. A qualified Mountain Leader, Charlie’s mountain running CV includes a number of mountain marathon podiums, two Bob Graham rounds, a Lakeland Classic Rock Round and an on- sight Ramsay Round in the Scottish Highlands: the Paddy Buckley round in Wales is next on his list. Charlie has also completed the Dragons Back Race in 2012, finishing in 12th position. Through Mountain Run, Charlie has coached countless runners to run more confidently and safely over extreme terrain. 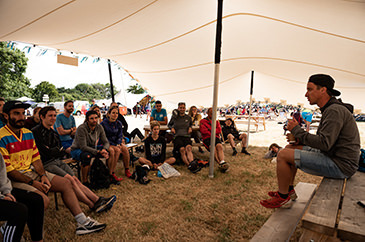 He specialises in all aspects of trail, sky and ultra running, including running with poles, and has also supported and enabled a growing number of safe and successful Bob Graham rounds: his current count stands at around 20+, including the 5th fastest Bob Graham Round ever recorded (completed in summer 2017) and the 2nd fastest Winter Round (January 2017). 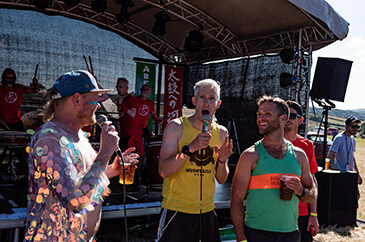 When he isn’t running in the mountains, you will find him planning races: Charlie is the creator of Scafell Sky Race and Lake District Sky Ultra, and the Race Director of Keswick Mountain Festival Trail Races. His course planning CV includes many of the Lake District’s most popular and iconic races – think Great Lakeland 3 Day, Marmot Dark Mountains, Rab Mountain Marathon, Keswick Mountain Festival Trail Races and more. See the full list of Charlie's upcoming races here.